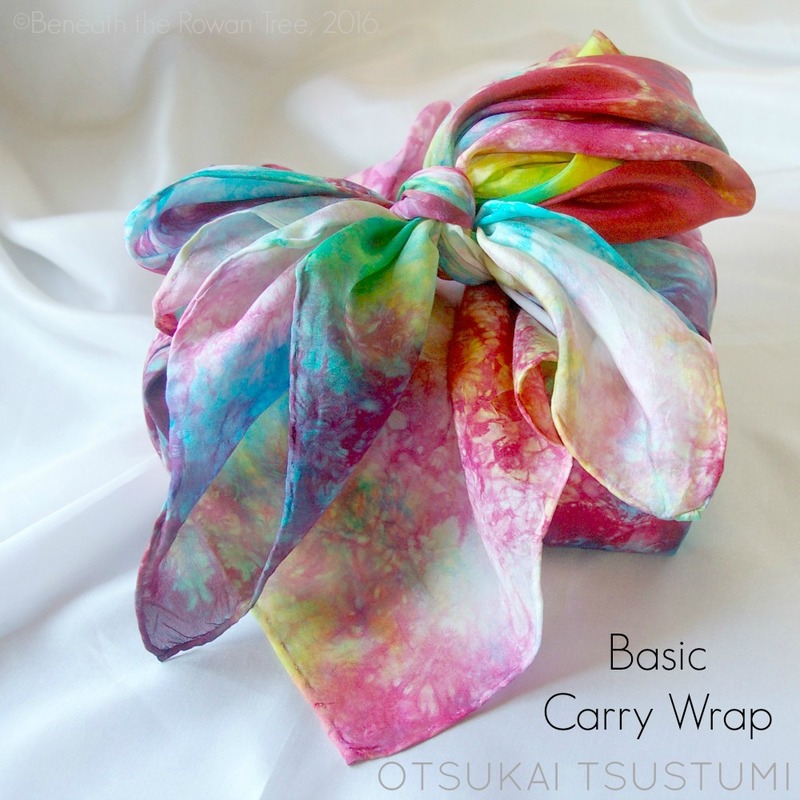 Beautiful, eco-friendly and natural, silk is a perfect gift wrap + gift in one! 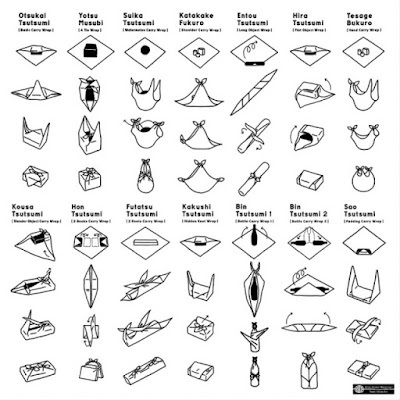 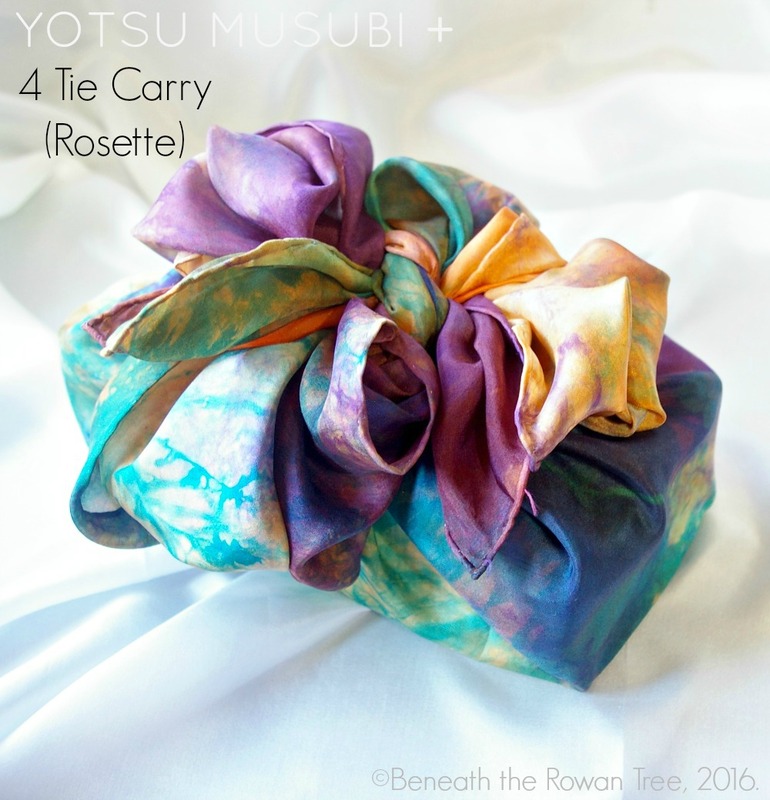 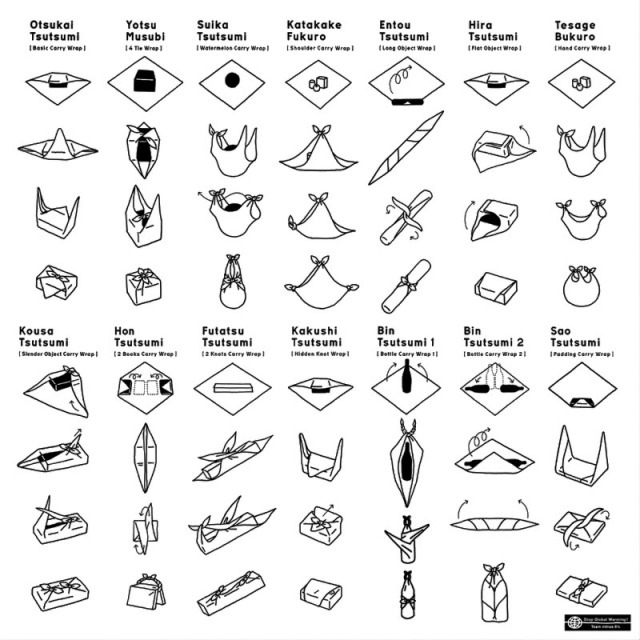 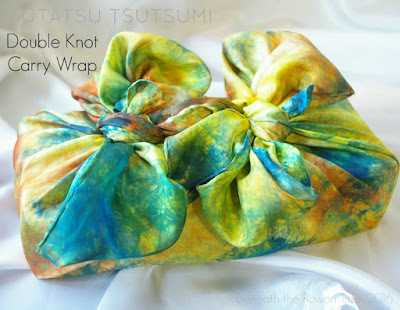 Used for over 1300 years, furoshiki are delightfully simple to use, and oh-so practical! Many of the wrapping styles have built in handles for carrying, and all are created with a single piece of square fabric. 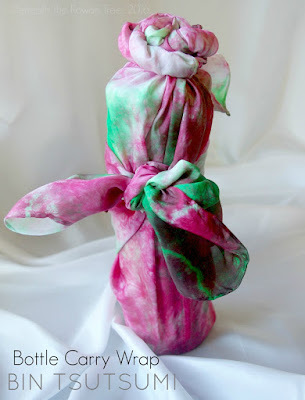 Wrap and carry your groceries, your books, your picnic lunch, your gifts for giving.... and instead of tossing out the wrapping~ play with it, wear it, use it again and again! This is where a Beneath the Rowan Tree silk can come in super handy this holiday season (and all year through). 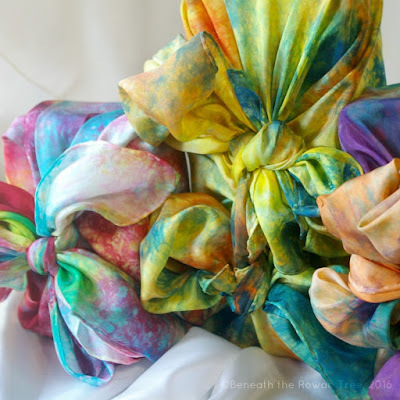 Hand dyed, 100% natural fiber and bio-degradable, silk is a low impact gift wrap option. It is also lovely, available in any colour combo you can imagine AND after opening the gift, goes on to be a staple toy for imaginary play and dressup. 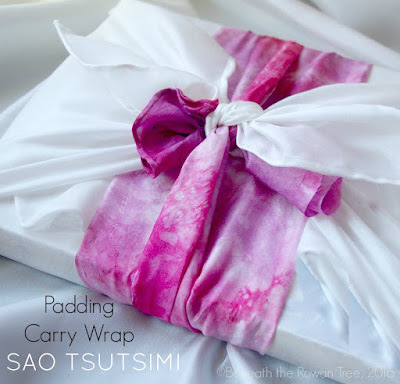 If you are wrapping for the grownups, it makes a great scarf, canopy or table cover. 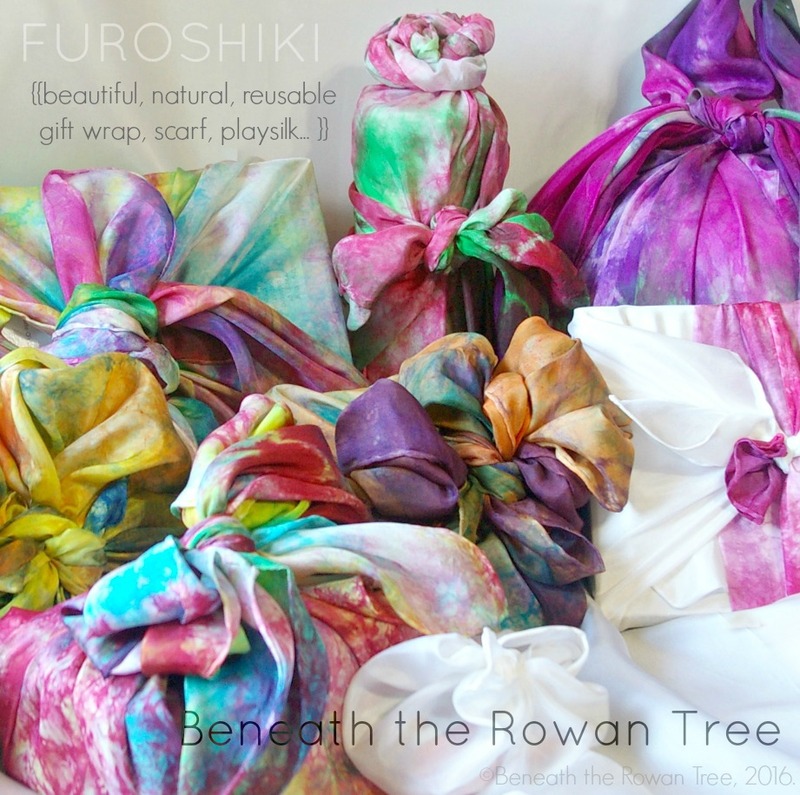 Visit Beneath the Rowan Tree to find your colours and size (available in 11", 21", 35" and 44" squares). 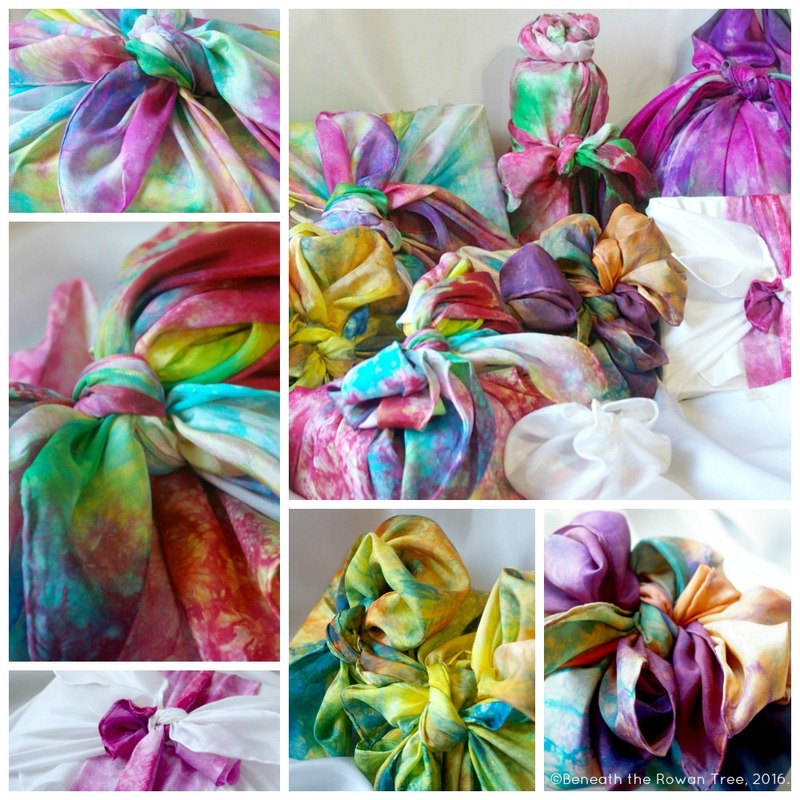 Lay out your silk square in the needed size (your best value is the 35" square~ easily adaptable for large or smaller packages and most play value). 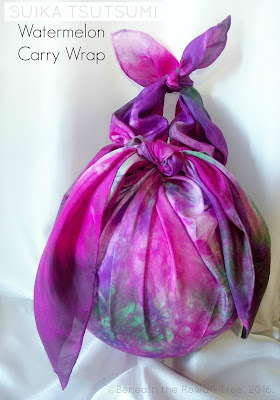 If you don't iron, crumple your silk in a tight ball (before wrapping begins) and squeeze for a crinkly appearance. You will find loads of wrapping styles on Pinterest or with good ol' Google. 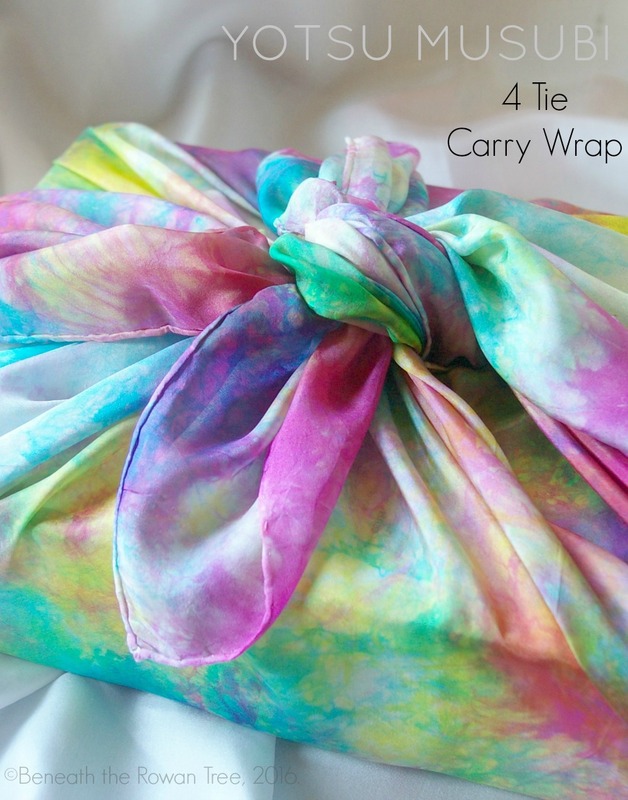 Here are a few wrap styles that will come in handy! 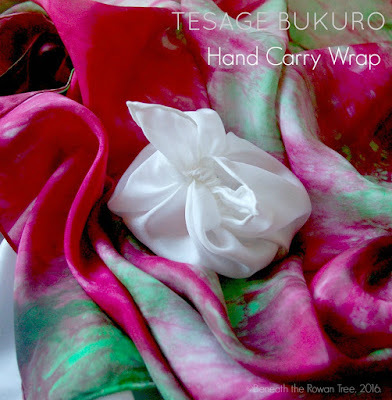 TIP: Do not tighten knots too snugly for little hands to undo easily! 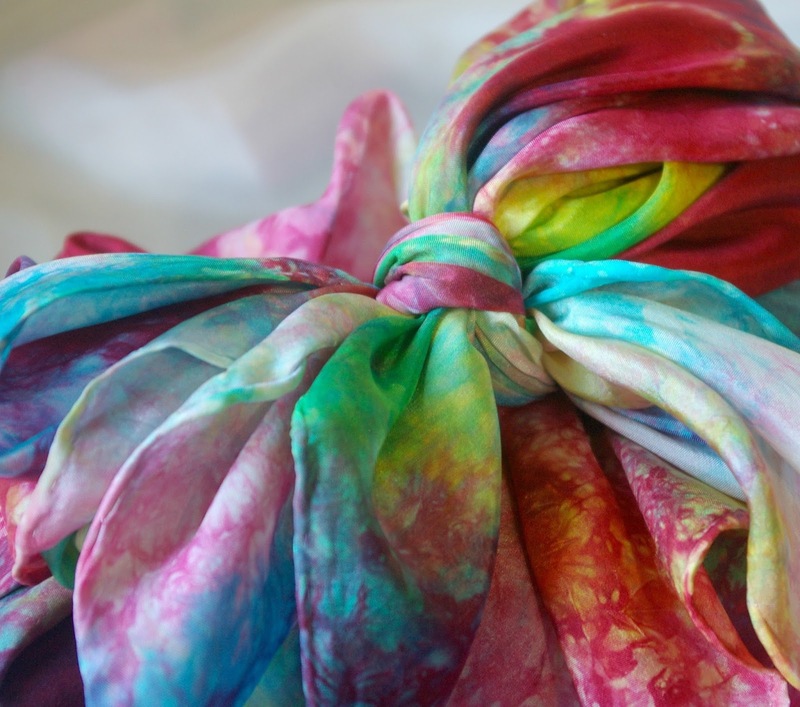 Just another amazing reason to love playsilks all year through! Get yours at http://beneaththerowantree.etsy.com or http://rowanbranches.etsy.com ~custom orders welcomed and encouraged!